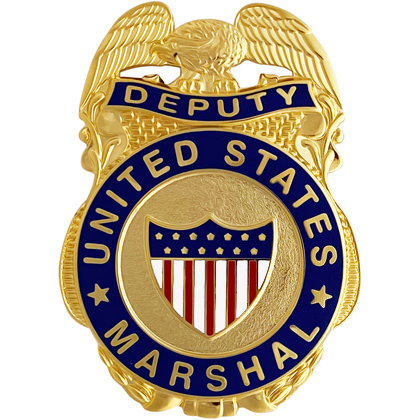 This great looking replica mini badge represents the United States Marshals Service – the oldest federal law enforcement agency in the United States. A U.S. Deputy Marshall is critical to protecting the effectiveness of the U.S. judicial system. Makes a treasured gift for any collector! Measuring 1″ x 1 1/2″, this gold mini badge has red, white and blue accents and is outfitted with a clutch attachment on the back.